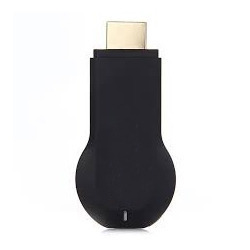 Capitalizing on the ability of our skilled crew, we are keenly indulged in providing Display Dongle. Functioning Ezcast, DLNA, EZ Mirror. Established in 2004, Sohi Computers is leading wholesaler and trader providing quality-approved range of Computer Mouse, Wireless Headsets and Bluetooth Speakers. These are appreciated by consumers throughout the country. Additionally these products are provided by our workers under the able guidance of our executives. We also provide Computer Wireless Mouse, Computer Wired Mouse, Wireless Headsets, Bluetooth Speakers, Wireless Optical Combo Keyboard, Wired Optical Combo, ATX Cabinet, Head Phone with MIC, Table Top MIC, Computer Speakers, Mobile Earphone, Laptop Cooling Pad, Bluetooth Speaker, Power Bank, Selfie Stick, Display Dongle, XP HDMI Cable, Barcode Scanner, Computer Power Supply, USB Keyboard, USB Portable Devices, Bluetooth Headset, Wireless Barcode Reader, Online UPS System, Computers and Laptops and Digital Printers.